Home » Del Ray Life » We Can Pickle It, Del Ray! The TV show Portlandia‘s humorous skit about pickling everything in sight may have brought pickles into the pop culture limelight, but we’ve always been fans of the zippy snack. 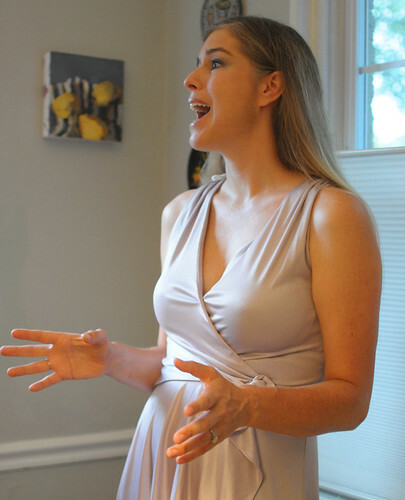 So much that when we found out a small Alexandria company was making their own and selling them at local shops and farmer’s markets, we had to learn more. 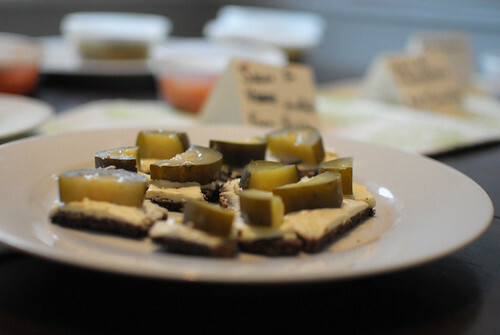 Leslie contacted Caitlin at Number 1 Sons with the intention of writing a story about the pickle-making process and she responded, “how about a private pickle tasting for you and some friends?” Leslie answered with an enthusiastic “yes, please!” and scheduled a tasting, which happened at her house last Friday night. 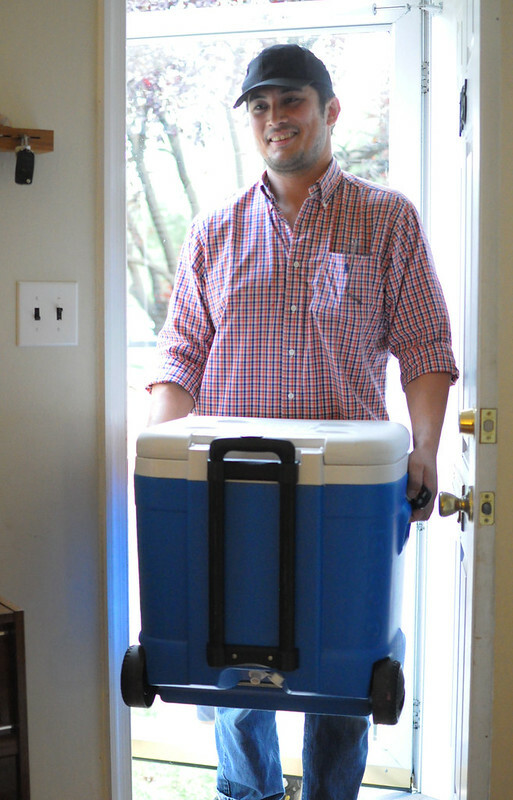 The day of the tasting, Caitlin let us know that her brother Yiwah, their head pickler, would be over at 7 p.m. And sure enough he was, right on time, with a cooler filled with pickled treasure. 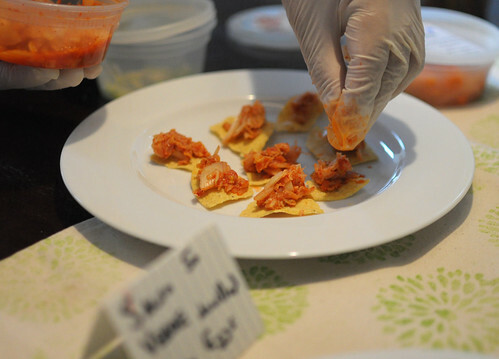 As the guests arrived, Yiwah set up various samples of their products as well as some accompanying food — their Kimchi on tortilla chips was chock full of flavor and heat. 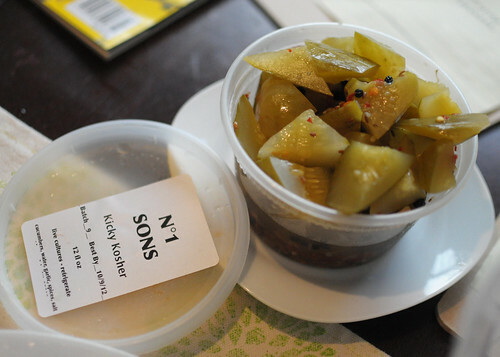 Thanks to our professional videographer neighbor Peter, we captured Yiwah’s pickle presentation on video. Yiwah’s historical culinary knowledge and overall passion for fermented foods is inspiring — see for yourself! 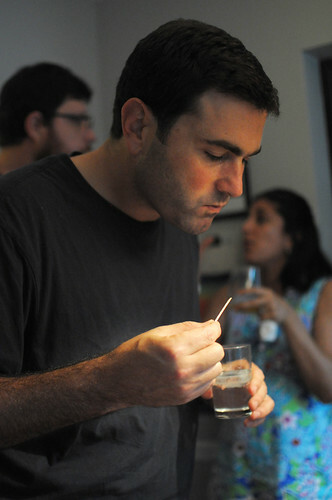 After the presentation, we dug into the tasty morsels Yiwah prepared. 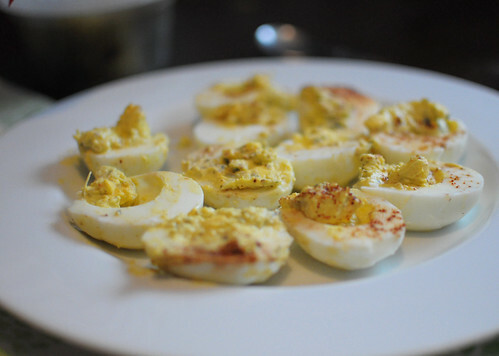 These “Salsa So Verde” deviled eggs were simply amazing. And several plates of pickle and cream cheese on rye sandwiches were devoured in a matter of minutes. The crowd was delighted with the offerings. Jim had a tender moment with a Kicky Koscher and Elin (who also won for best dressed at a pickle tasting) could hardly contain her pickle pride. Incredible smells filled the room, Leslie soaked them all in. Newsha provided a special pickle tasting brew she picked up at Planet Wine. 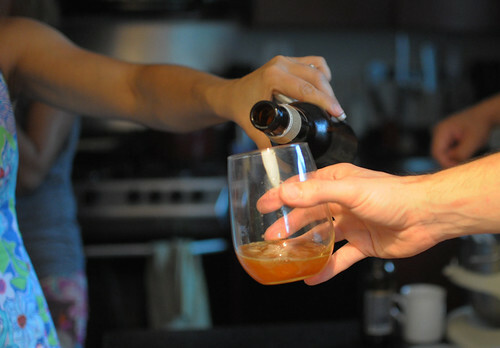 White wine was also a popular beverage choice. 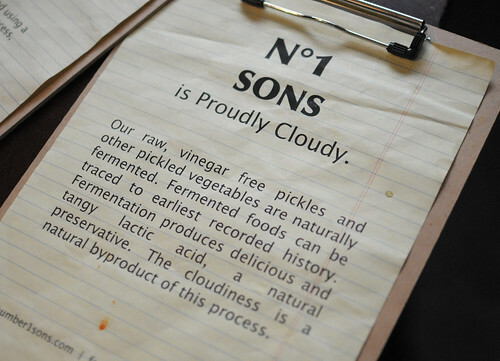 Locally, Number 1 Sons products are sold at Market 2 Market in Del Ray and at the Old Town and Four Mile Run Farmer’s Markets (as well as others in the DC area). Who knows, maybe one day they will have their own pickle shop on the Avenue. Their products are “proudly cloudy” and made from all natural ingredients. Want to make some pickles at home? 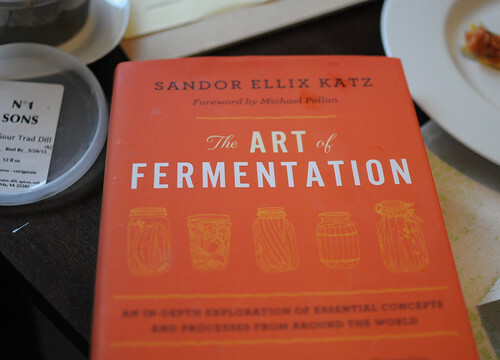 Yiwah recommends the Art of Fermentation to get you started. 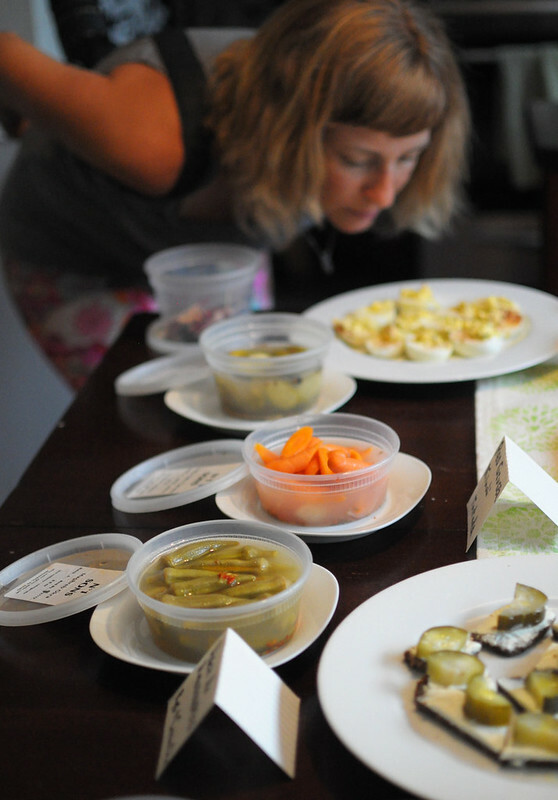 George Washington, who is said to have had a collection of 460 types of pickles, would surely be proud the fermentation tradition is alive and well in his home town!